Performing on stage is a vital aspect for students studying ballet. The City Ballet School of San Diego provides students with multiple performance opportunities throughout the school year. 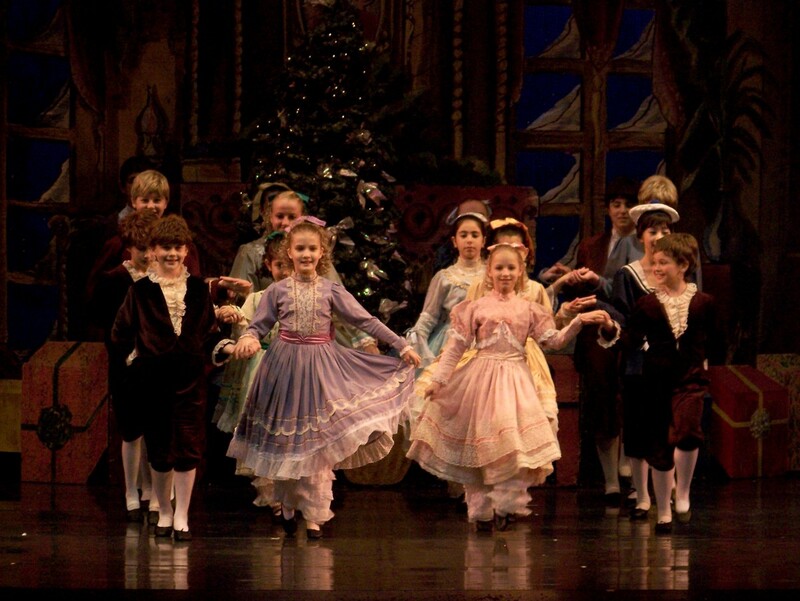 Students from the age of 7 are selected to perform various roles in City Ballet’s annual production of The Nutcracker. MANDATORY PARENT MEETING AT THE SAME TIME AS AUDITIONS. Students in levels 4, 5 and 6 are invited to participate in City Ballet II. The diverse repertoire of classical, neo classical and contemporary ballets challenge the student both technically and artistically and showcase the excellent training they are receiving in the school. There are multiple performances throughout the spring in venues throughout San Diego County. Every student studying at the City Ballet School of San Diego is invited to participate in the annual school performance. Dancers will show what they have been learning in classes all year and perform specially coreographed ballets designed to show their technical and artistic abilities.